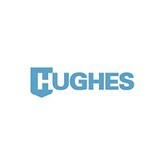 Hughes Supply is one of the leading wholesale suppliers of plumbing and HVAC services to commercial, residential and various other institutional. Clarence Hughes and his son Russell Hughes founded the company in 1928. The company initially provided electrical services for residential purpose. Later in 1940s, they expanded their business and began to offer plumbing services. Hughes Supply, after the acquisition of The Home Depot HD Supply division in 2006, offers quality services under the trade name HD Supply. However, in 2011, the company combined with Hajoca Corporation and once again started to offer services as Hughes Supply. The company offers diverse range of products so far across, the Pacific regions, Florida, the Midwest, and the Southeast.